A decade ago, the New York Times declared 12South, a ten-block east Nashville neighborhood, an up-and-coming hot spot. 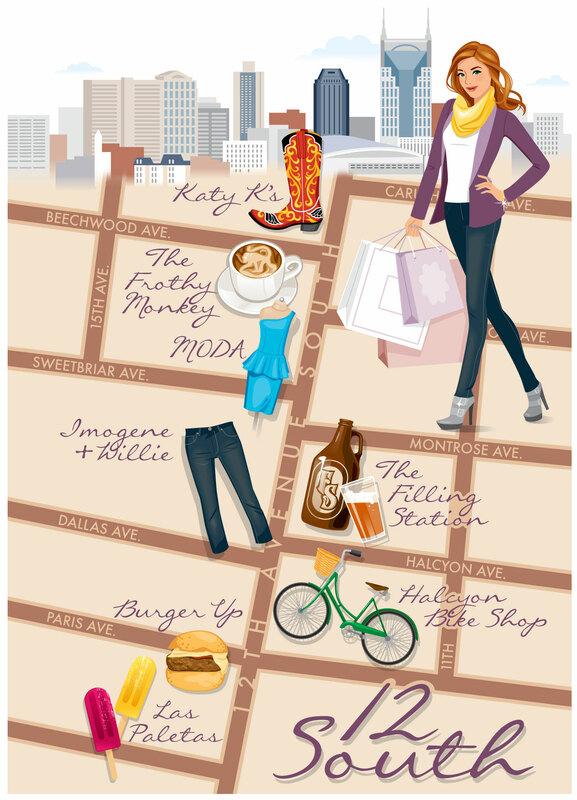 Today, the once-emerging district is an established destination, regarded as one of the South’s hippest strips. You’ll find original art and organic eats, guitar strings and growlers, as well as the best blue-jeans shopping in the South and one of the nicest green spaces in the city (Sevier Park). Take a stroll down namesake 12th Avenue South and discover some of the city’s favorite restaurants and cafes and trendiest shops and boutiques. Editor’s note: This article was originally published in our fall/winter 2013 issue. Since being published, one establishment mentioned in the story has closed. Please note that Katy K’s Ranch Dressing is no longer in operation.